I’m on the verge of being a published writer, and that’s exciting and frightening at the same time. I’ve got spots in two trade anthologies–A Bleak New World and the Art of Losing–which was easy from the publishing standpoint. They did the covers and the formatting and all the other stuff you have to do to sell a book. I blogged and tweeted. But I’ve also got Dragon Hoard, with stories all my own coming out, and that’s a very different thing. In one way it’s great–I’m finally doing it. But I get so afraid that I nearly collapse from the anxiety. Finding the courage to do this is an unexpected roadblock. 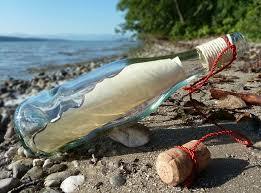 So I thought I’d send myself a message in a bottle, to the me who will be here in five years hence. Hopefully, an older and wiser me, applying the lessons I’ve already learned instead of re-learning them. And perhaps my courage will be a well-worn thing by then, like putting on a pair of jeans that’ve been broken in. I have no idea where I’ll look back from in five years. I could be a resounding success as an author, a complete flop, or anywhere in between. I hope, of course, that I will be successful–at least enough to support myself. It’s not actually that lofty a goal in my case. My bills are very low. In five years, I hope I remember how it was such a miracle that I started writing, and that I was liking my stories, rough edges and all. I never want to lose that sense of wonder–the sheer joy of creating. You made a tale where there was nothing before. Something from nothing–there’s nothing quite like the feeling. And the only thing between me and finishing–turning these books into something I can share–is sheer, bowel-loosening, overwhelming fear. I’ve got eight novels written, six of them in various states of revision. The last two are so rough that I’ll probably rewrite them. If nothing else, I want to publish those eight, plus whatever short stories I can write while I’m doing that. Then I will have finished what I set out to do. I’ve never been a coward, and I’ve always been able to face the pain in my life. But finding the guts to pursue this last desire of my heart has been harder than I ever thought it would be. But I need to stay the course, if only to see how well the five-years-later me can write. I’ve learned so much of the writing craft in the past year and a half. The thought of being more skillful with words is a definite compensation for growing older. Because I really want to do well at this. Put out books that make at least some people glad to read them. Keep getting better at it. And never lose the joy. Are you still writing, the me of 2020? Did you find the courage to publish? I truly hope so. Ahhh this, your journey and hope just further ignites my own. Reading this I truly felt my own limits slipping away and greater courage breaking forth. Thank you! Have courage. I’ve only recently found your blog and enjoy how you write. We all learn from experience so deep breath and think positive. 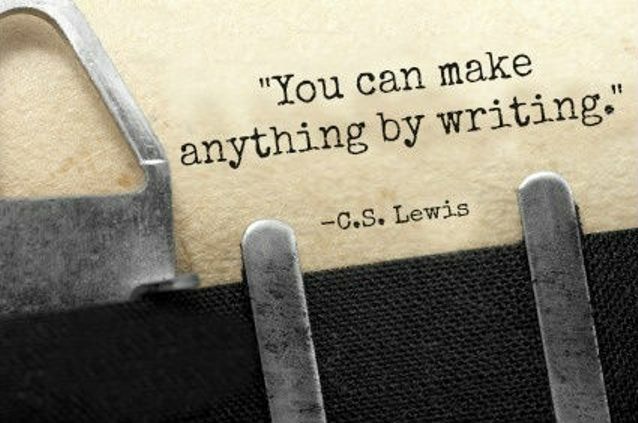 If you like what you’ve written others will too. Opening that letter in the future could be a book in itself.